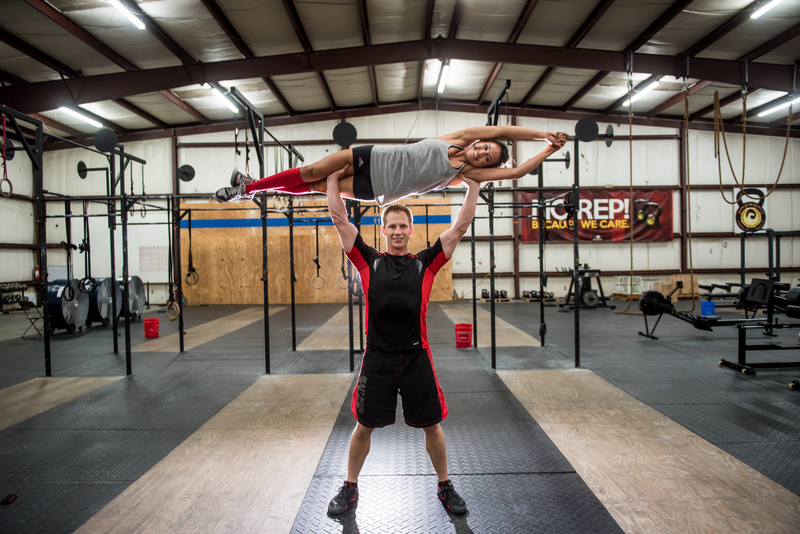 Couple and fellow CrossFitters Iliana and Joe jokingly tossed around the idea of doing an engagement photo shoot at their gym (or "box," as insiders call it) in Ocoee, Florida. "I had joked around with Joe and told him we should take pictures at the box because that's where we spend most of our time together," Iliana told The Huffington Post. She continued, "I didn't really think he was taking me seriously. Then he asked our photographer about it and she sounded excited so he said we should try it out. I was all for it -- to just do something that was a little more 'us.'" In November 2014, Joe proposed to Iliana under a waterfall at Discovery Cove in Orlando, Florida. Earlier this month, the pair prepared for the engagement photo shoot by looking up some athletic-yet-adorable poses on Pinterest for inspiration. They also came up with some poses of their own on the fly. "On the days we have off together, this is what we look forward to doing together," Iliana told HuffPost. "We can also go in there when a class isn't going on and do our own workout because we both teach there. Sometimes we do go to a class if we can work it into our schedule." The couple first met at work at SeaWorld in Orlando. 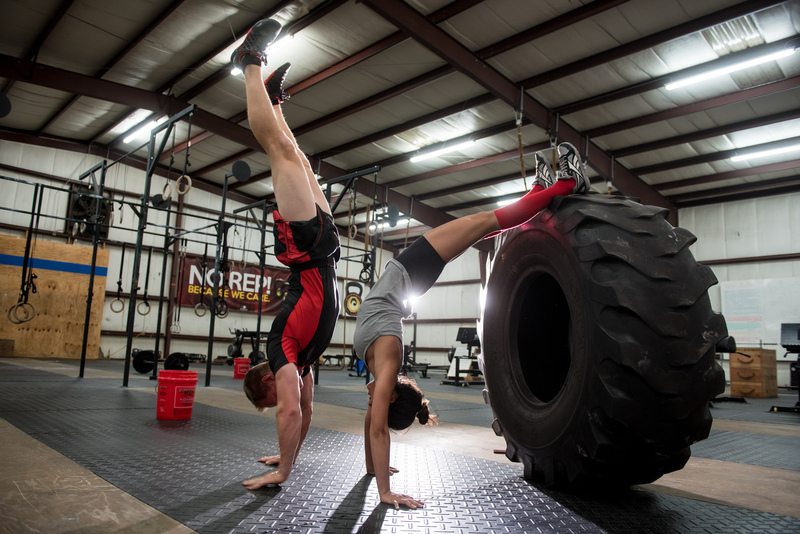 When they started dating, Joe had been doing CrossFit for about two years. Soon after, they started going to the box together. "It's a hobby we are both really passionate about and that's something we like to do together," she said. "It's really fun that you can share it with somebody that you love." Both Joe and Iliana have gymnastics backgrounds, which helped them with some of the more challenging poses. "We had a couple times where we flopped honestly. We got it the third try." 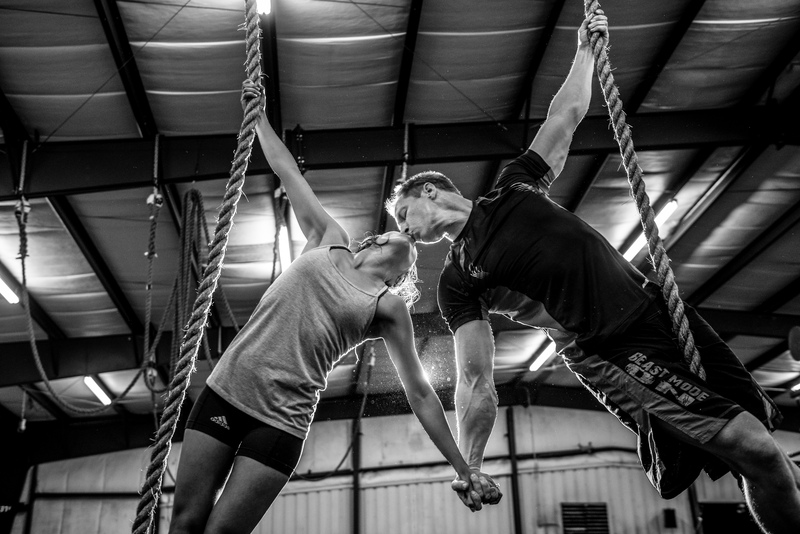 "He had to teach me how to tie my foot into the rope and climb it up," she said. "Joe gave me a mini lesson beforehand." The pair plan to tie the knot on April 30 at Paradise Cove near Lake Buena Vista, Florida. We'd love to see them recreate some of these photos in their wedding attire!